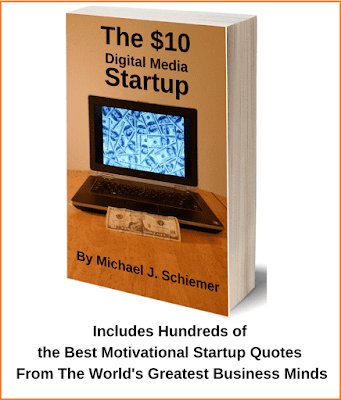 1) "In life and business, there are two cardinal sins. The first is to act precipitously without thought and the second is to not act at all." 2) "I look at companies as businesses, while Wall Street analysts look for quarterly earnings performance. I buy assets and potential productivity. Wall Street buys earnings, so they miss a lot of things that I see in certain situations." 3) "You learn in this business: If you want a friend, get a dog." 4) "Don't confuse luck with skill when judging others, and especially when judging yourself." 5) "Some people get rich studying artificial intelligence. Me, I make money studying natural stupidity." Be like Carl Icahn and invest with success! Thanks for all of the motivational quotes Carl Icahn! 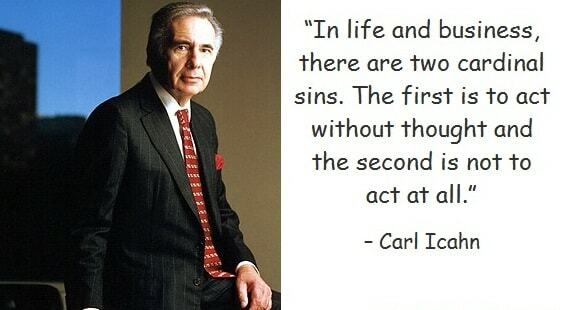 I hope you enjoyed these 5 great Carl Icahn quotes about investing and finances. Interested in more great quotes on money and stock market investing?